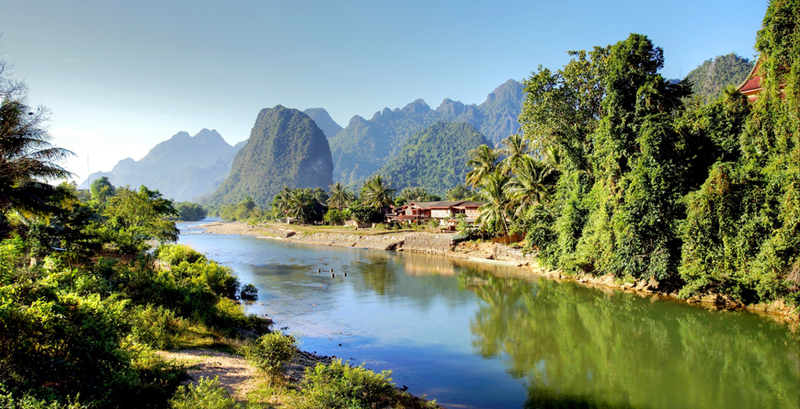 Mystical Laos - a well-kept secret amongst travellers, but not for long! One of those magical destinations, seemingly untouched by time, its charming, tranquil air belies the adventure on offer here - think jungle zip-lines, elephant-spotting or hiking up peaks to witness incredible sunset vistas. 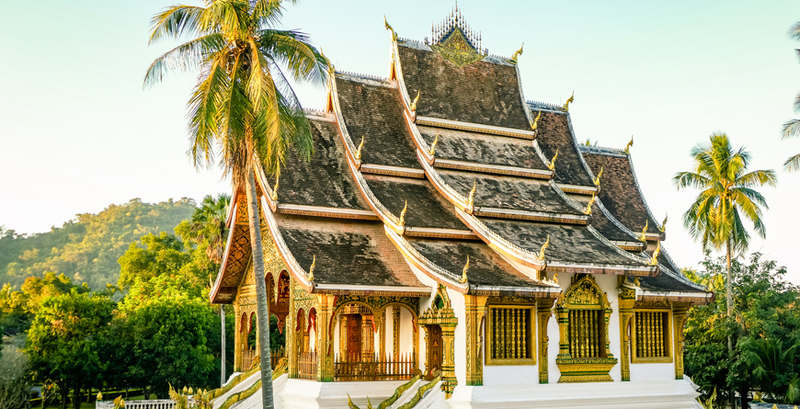 Lovely UNESCO World Heritage gem, Luang Prabang, is home to peaceful processions of monks, golden temples and Indochinese villas - everyone falls in love with this former royal capital. Families will find plenty of comfortable, child-friendly hotels and with Asiatic Bears, turquoise waterfalls and butterfly parks on the doorstep, visitors of all ages will be enchanted. 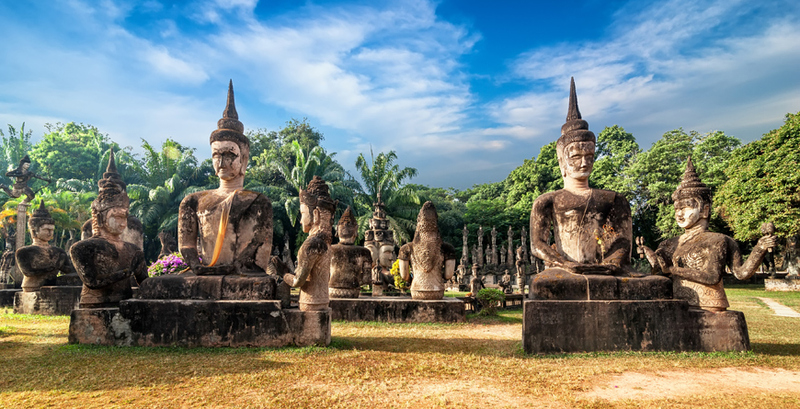 The capital city, Vientiane is a colonial delight with its wide tree-lined boulevards dotted with Buddhist temples, bustling riverside promenade and vibrant cafes and restaurants. 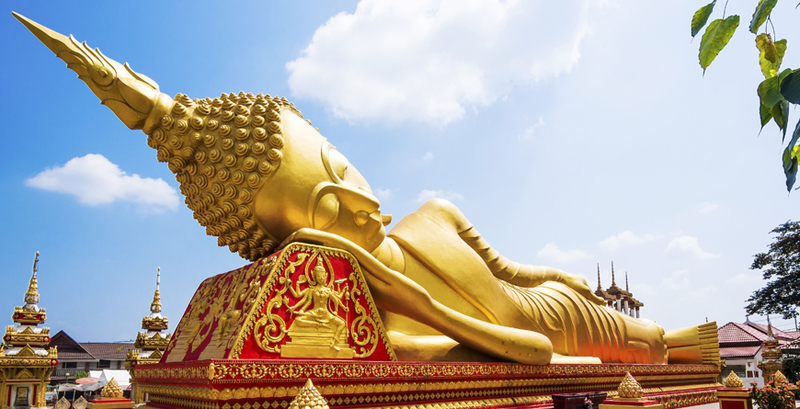 Visit the Laos version of the ‘Arc De Triomphe’, marvel at the huge golden temple of That Luang - one of the countries’ most sacred monuments, or lose yourself amidst the famous night market, set on the banks of the mighty Mekong. And inbetween? 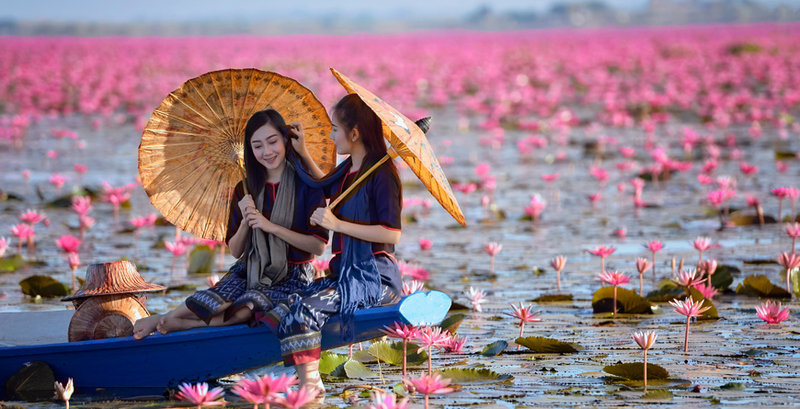 You’ll find vast stretches of emerald-green paddy fields, colourful hillside tribes, forested mountains, limestone karsts and the waterfall wilderness of Four Thousand Islands – home to the shy Irrawaddy Dolphins. A great family holiday destination, peaceful but with plenty of potentional for fun exploits, it gives you that magical feeling that, just for a week or two you might well be exploring one an untouched frontier. Get there before word gets out just how fabulous it is! As Laos is landlocked, the weather here tends to be more straightforward compared with much of Asia. There are two distinct weather seasons: dry season is October through to April and wet season is May to September with the hottest time of year during March and June. The heaviest rainfall is usually during August and September, especially in the South, and the more remote regions are best avoided at this time due to flooding. Flights: With no direct flights into Laos from Europe, most visitors arrive overland having initially flown into Thailand or Vietnam. The most popular crossings are from Thailand near Vientiane and at Houayxai. 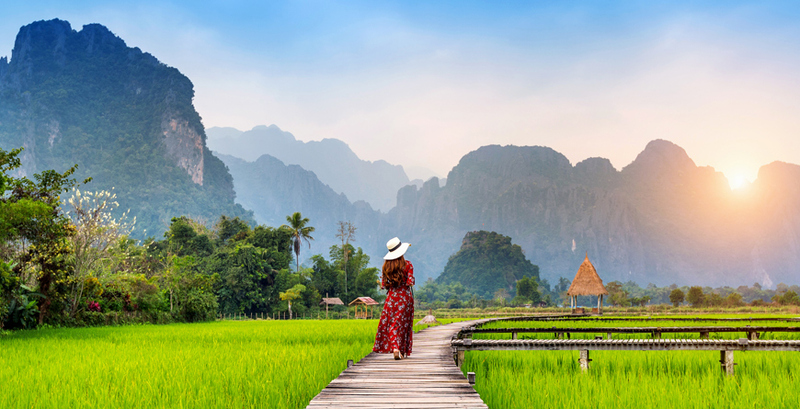 There are flights to/ from Thailand, Vietnam, Cambodia and China as well as several good overland crossing points making Laos the perfect complement to a multi-destination itinerary.